…the officers of the Ministry of Health, Labor and Welfare of Japan pointed out that the following sentence in the article was false because the case was not reported to the Ministry following the guideline: “All procedures were performed following the guidelines on clinical research using human stem cells as set by the Ministry of Health, Labor and Welfare of Japan”. we weren’t under the impression that the study itself had been conducted in an unethical manner, but just that the original statement was inaccurate. Kantake, who works in the Department of Pediatrics and Adolescent Medicine at Juntendo University, declined to comment. Dormer told us that Kantake’s institution, Juntendo University, investigated the ethical concern and concluded “it was reasonable to request a retraction, which was accepted by the authors.” We contacted the university to confirm the nature of the concern but have not heard back. The Ministry guidelines on stem cell research, which went into effect in November 2010, stipulate that scientists must report their clinical stem cell work to the Minister. 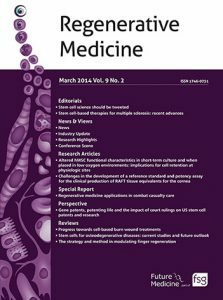 Since the following case report was found not to meet the ethical standards of Juntendo University, as previously stated by the authors, the article has been retracted from Regenerative Medicine: Kantake M, Hirano A, Sano M, Urushihata N, Tanemura H, Oki K, Suzaki E. Transplantation of allogeneic adipose-derived mesenchymal stem cells in a cerebral palsy patient. Regenerative Medicine doi:10.2217/rme-2017-0043 (2017) (Epub ahead of print). The authors and editors of Regenerative Medicine regret any negative consequences this publication might have caused in the scientific and medical communities. The notice — but not the paper — has been indexed by Clarivate Analytics’ Web of Science. According to the report, published in June 2017, Kantake and his co-authors tested the safety and effectiveness of stem cell therapy in a child with cerebral palsy. The patient received six infusions of the treatment, known as allogeneic human adipose-derived mesenchymal cells. While the article was clearly classified as a case report on each page of the article and within the manuscript, there were also some concerns with regard to specific language used at specific points of the manuscript. An example of this was usage of the term “in this study”. While intended to imply this case study, it was felt that this language could suggest to readers that this piece was a research article, instead of a case report.